An external auditor will take over the accreditation procedure for Cargo iQ in the future, thereby moving away for the first time from their own internal auditing system. Cargo iQ members were previously audited internally by the Cargo iQ management team and the decision to outsource audits was mainly due to wanting to ensure that there was no room for any misinterpretation in the future. SGS Auditing Services, a worldwide auditor with its headquarters in Geneva, Switzerland, has been appointed by Cargo iQ management to carry out future audits. The company employs more than 2,000 staff and has laboratories all over the world. In a recent release, Cargo iQ states that more than 30 SGS offices around the world will be involved in the future auditing process. They are expected to start moving by June of this year. The auditing process at each location will include a desk review and a two-day on-site inspection. SGS has a wide portfolio of auditing and inspection services, ranging from agriculture, energy, transport to risk management, and many more. 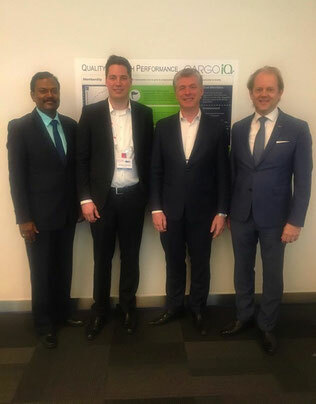 Ariaen Zimmerman, Executive Director at Cargo iQ wants this new process to work well and is quoted as stating that: “It makes a difference that we now have external validation, and an external auditor, allowing us to be more objective in regards to the criteria. The planning is to ensure that all Cargo iQ members are to be audited according to the new agreement within three years. Zimmerman also stated that their members have all agreed to the new outsourced auditing procedures.